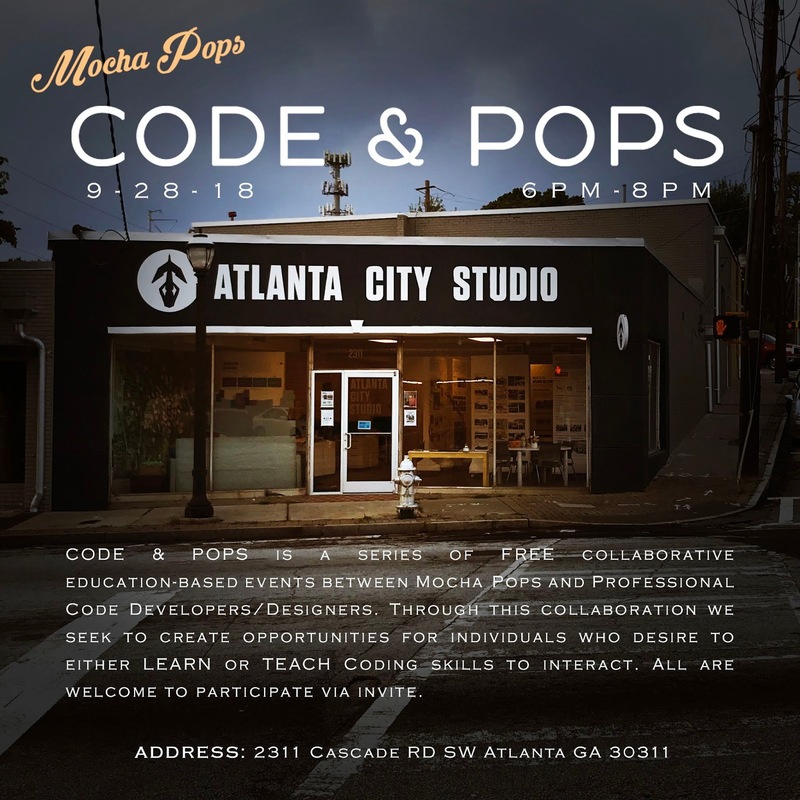 NPU-S Atlanta: "Code + Pops" Coding Class - Learn or Teach! CODE & POPS is a series of free collaborative, education-based events between Mocha Pops and professional code developers/designers. Through this collaboration, we seek to create opportunities for individuals who desire to either LEARN or TEACH coding skills to interact. Join us at the Atlanta City Studio on either FRIDAY, September 28th or SATURDAY, September 29th for a fun and interactive approach to learning how to code! This is a family friendly event and ALL skill levels are welcome to participate.